This tracker is equipped with waterproof case and its degree of protection is IP56, which protects it from moisture and rain splash. With magnets on it you can easily mount it on the car body. 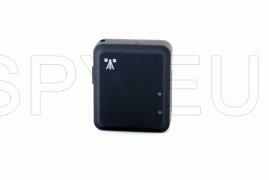 This unit transmits location information via SMS or Web-based platform using mobile Internet (2G GPRS). Setting up all the parameters for the normal operation of the tracker is done via SMS sent to the card in it. You have the option to set the authorized phone number, APN setup, time zone, IP address of the server, turn on and off alarms, etc. If you want to see the location of the car just dial the SIM card number that is in the tracker. After the third ring the device will automatically disconnect and you will receive SMS with a link to a map with the location and information about the status of the battery. For real time tracking, and history of the routes have a free platform that receives data from tracker by GPRS. There you can view the routes in three-day intervals, and the information is kept up to 6 months. With the platform you can have real time information for the condition of the car (in motion, stopped, parked) to view alarms for traffic speeding, leaving the defined perimeter, battery status, etc. This tracker is suitable for attaching the strap of your pet, but can also be used to track various other objects like cars, children, the elderly people, etc. With the mobile phone application in real time you can keep track of where the tracked subject is located. 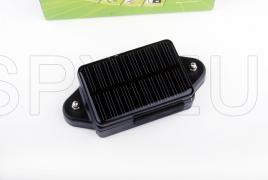 The device works with micro SIM card has a battery ensuring independent operating time. When the battery is depleted you will receive a message that have to recharge it. It's waterproof, level of protection IP66. 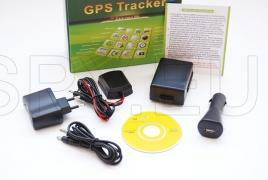 This tracker is specially designed and developed for tracking vehicles over a long period of time. 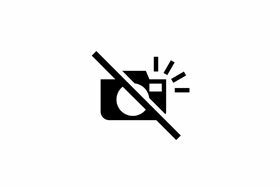 When stopping the car it has a mode for battery saving, which completely turns the device off and the solar panel charges the polymer battery. This way the time for tracking is increased tremendously. The tracker is made of strong material, hermetically sealed and has a very strong magnets with which it can be secured to the car. You can choose between three modes for battery saving - entirely off without GPS module and GSM and working mode in which the tracker is switched on only during the specified interval. Obtaining current location is also done in several ways. The easiest way is by calling the number of the SIM card inserted in the tracker. Then it will disconnect and will return information about the place where the car is located.